Soil temperature in the iRON is measured by a 12-bit temperature sensor placed near the soil moisture sensors, 8in (20cm) deep in the ground. 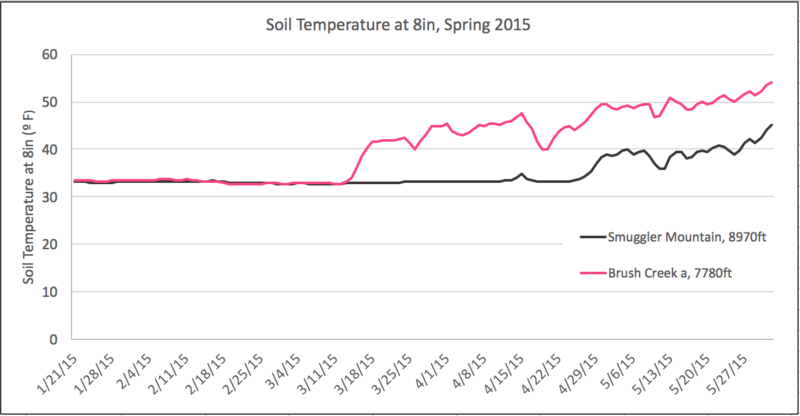 Soil temperature provides useful information in several ways. First, it reveals the date on which the ground becomes frozen, making soil moisture measurements from the sensors no longer reliable for the winter. Conversely, in the spring, soil temperature reveals the date of soil thaw. Soil temperature is also informative throughout the summer: warmer soils may be more susceptible to drying. All of the iRON’s soil moisture sensors are located at a depth of 8 inches (20cm): deep enough to avoid day to day fluctuations but shallow enough to reveal seasonal changes. 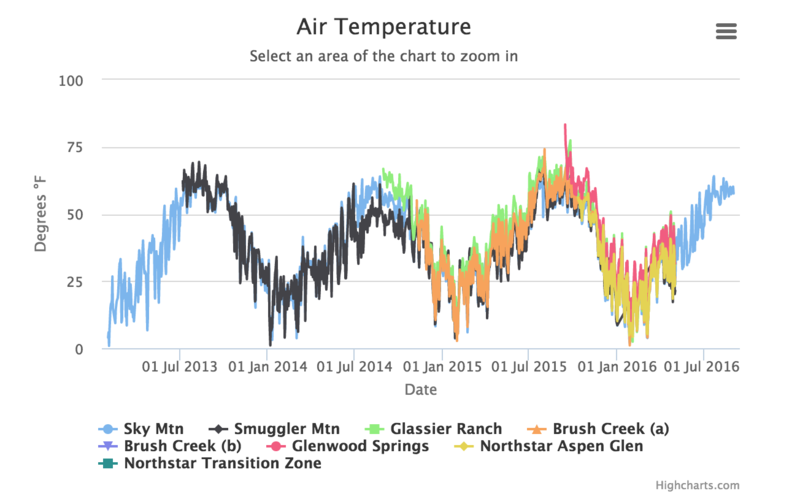 The graph below reveals the difference in thaw dates at sites of two different elevations. 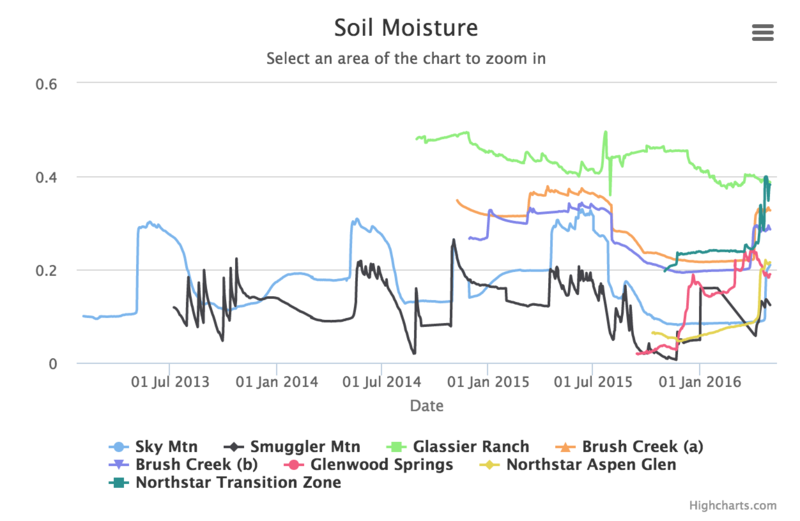 In 2015, the Smuggler Mountain site at 8,970 feet (2,730m) in elevation experienced a soil thaw in early May. 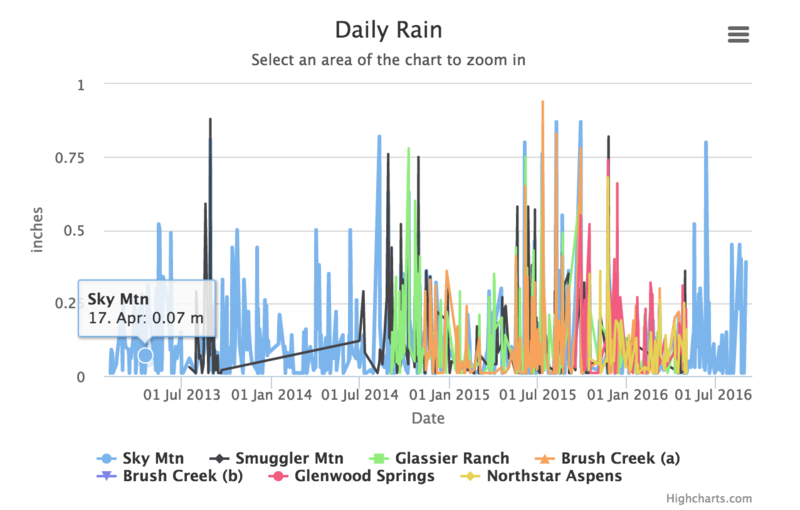 Brush Creek, with an earlier melting snow pack and at only 7,780 ft (2,370m) in elevation experienced soil thaw much earlier in mid-March.